Nippers are as natural to the Australian landscape and culture as the scorched desert, crystal beaches and Vegemite. From the age of 5 to 13, kids are brought into the Aussie tradition of lifesaving and swimming, where they wake up (early!) on a Sunday morning and head to the classroom: the sandy, salty beaches. With enrolments coming up this August, here's everything you need to know about Nippers, and enrolling your child. What will my Nipper learn? This also includes carnivals and competitions as well as friendly BBQs and fun family days. Why Is Being A Nipper So Important? Apart from the fun and memories your kid will be making, it’s also a great way to keep active and healthy! 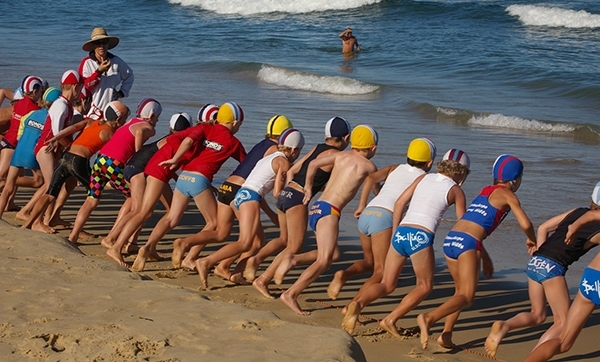 The Nippers program is a perfect introduction into the Surf Life Saving club where members volunteer and go on to become life savers. According to Royal Life Saving Society, 291 people drowned in Australia between 2016-2017, the most common place this occurring being beaches. Of that 291 victims, 29 children aged 0-4 years drowned, a 32% increase on the previous year. It's more important than ever to teach your child to be water-safe as early as possible! The best way is through a fun, well-supervised and experienced group like Nippers, who have decades of experience to best support your child. Before you can officially join the nippers program, all kids need to go through a series of swimming tests. This usually includes holding your breath underwater for 30 seconds to basic swimming strokes. The tests vary for each age group. Most Nipper clubs kick off between September and March, and training is held every Sunday at around 8:15 am. So say goodbye to late Saturday nights and prepare your coffee mugs, you’ll be up early with the kids! Clubs often require a parent to join and help out with club activities, which is a fantastic opportunity to spend more quality time with your little ones. There may also be a $50 board levy for Under-11 -Under-13 nippers who don’t have a board and gives members use of a club-owned board during the season at training sessions and carnivals. Registration for new Nippers begins in early August for most clubs and the Nipper groups are booked out very quickly. It’s best to find the website or Facebook page of your local club and keep up to date with registration dates. You can search for your local on the Surf Life Saving website. Registration is easy and you can enrol online on the Surf Life Saving website. I Don’t Live Near a Beach. Can I still join Nippers? Wet ’n’ Wild has teamed up with Surf Life Savings to create a Nippers club for those in Western Sydney, the leading area for drownings. The new season dates haven’t been finalised yet but it is proposed that they will run from around October to March. We suggest you join the waiting list and sign up as soon as registration re-opens. You also need to buy a season pass to enter the park for Nippers. There are heaps of local swimming programs that you might not know about. Local swimming pools often have great swimming programs for kids. Find yours here!